Want to learn the world's fastest growing programming language favored by Google, NASA, Youtube, and the CIA? 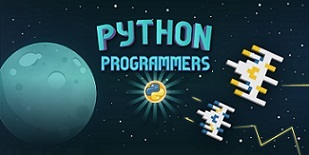 ?Learn how to code with Python to create engaging apps and games. Each lesson takes you step-by-step on a programming path that will let you challenge friends with fun content you create from start to finish!? Students will work in pairs or teams for most of the program. $10 license fee included with this class.